The weeks passed quickly and by Saturday, August 19, 1939, news about the murder of Arthur Brodley and related stories with respect to the capture and incarceration of his murderer, Joseph ‘Philly’ Morris, had slipped into the middle pages of the Echo. Throughout most of the month, the Monte Carlo Ice show, Akhbar’s Indian show, complete with a levitating woman, Max Miller, who was considered to be the rudest comedian that ever lived, and the crowning of Miss Betty Meadus as Queen of High-Cliffe, graced the front pages of the Echo. Toward the end of August the front page of the Echo shifted dramatically with the signing of the ten-year non-aggression pact between Germany and the Soviet Union on August 23. 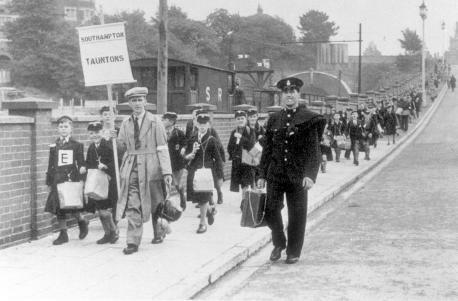 On Tuesday, August 29, the Echo announced: “Children Evacuation to Bournemouth Begins Tomorrow.” Herbert Morrison, leader of the London Country Council, was quoted to have issued this advice: “Children—be kind to each other. Parents: Make the kiddies cheerful. Others: Show a British smile.” As August drew to an end, the pages of the Echo were filled with the growing crisis; still, it made room on the front page to report on a jewel heist from Knibbs & Son in Boscombe. No mention was made on any of its pages about the Brodley murder or the compelling circumstantial evidence against ‘Philly’ Morris as argued by his lawyer, Richard Bell, or that the trial would begin on Tuesday, April 30 at the Central Criminal Court in London, commonly known as the Old Bailey. On Friday, September 1, Hitler invaded Poland. Two days later, on Sunday, September 3, Prime Minister Neville Chamberlain announced in deeply sad undertones that war had been declared against Germany. Legal sparring between the Crown and ‘Philly’ Morris’s lawyer, Richard Bell, had pushed the trial to Tuesday, June 25. During that summer of 1940 the fate of Britain hung in the balance as the battle for Britain was fought out overhead between the British Air Force and the German Luftwaffe. Satiated and exhausted with the daily news of death, the usual curiosity seekers that filled a courtroom during a murder trial had lost their taste for its details and, apart from those actually involved in the trial, the courtroom in Old Bailey was empty. Norman Steffens had a square face with a jaw line that could chisel granite. Noted for being incredibly outspoken and self-assured, the 34-year old newspaper reporter had developed a reputation for not only his disconcerting ability to analyze events and detect underlying patterns but his uncanny ability for crystal clear language in his articles. As a result, he had developed a sizeable readership. Fixated on this trial, he had turned his finely oiled skills to champion ‘Philly’ Morris’s innocence. His first ‘shot across the bow’ of the Prosecution’s case was a carefully crafted and well received article that challenged the credibility of the saliva test to identify blood type. On the morning of September 7, Chief Inspector Collier entered the courtroom and nodded in Steffens’s direction when their eyes met as he sat down on the bench at the opposite end to him. Time marched by slowly as Collier reviewed the critical parts of the trial in his mind while he awaited the jury’s verdict. Indelibly seared into his mind were the words of Morris’s lawyer when he had held aloft one of the cigarettes butts and asked the jury “…how is it possible that invisible traces of saliva could even remotely determine the blood type of an individual? In all conscience, could you send a man to the gallows on such skimpy evidence?” Bell’s all-out assault on the credibility of the saliva test had been immediate as seen on the faces of the jurists. It had become quite obvious to Collier that the well-presented case by the prosecution had just been usurped and that it had been reduced to a single scrap of disputed evidence. When the jury entered, Collier glanced in Steffens’s direction and found him looking at him with a smirk on his face. It didn’t take long before Collier felt the red-hot heat of anger and disappointment begin to leave its imprint as it crawled up the back of his neck. “T’is George Formby’s best song, don’t you think? “ He poured another glass and offered more to Steffens. “Damn it, ‘Philly,’ it’s barely pass noon and I can barely feel the end of my nose,” Steffens chortled, waving ‘Philly’ off. Morris’s face turned red as he choked on his own laughter. “And its contents. Worth a fortune.” He poured himself another glass of champagne and swirled the contents around. “I think old chum that the murderer and her were in cahoots….Like you and me…a real win-win situation. Salut!” And, he drank the contents of his glass in one gulp.” As for that hair curler…” He shrugged. “I think I’d better head off while I can walk,” Steffens said, standing up. Fending off Morris’s entreaties to remain, Steffens weaved across the room to the door and left. Several hours later, Steffens was awakened from a deep sleep by someone banging on his door. Disoriented, he stumbled out of bed and after stubbing his toe and tipping over a chair as he made his way across the room, he finally opened the door. “Jesu… ‘Philly’…” The vomit and alcohol stench was too much for Steffens and he backed away in disgust. Appalled, Steffens began to pace the floor. He and the jury had been duped and there was nothing he could do. British libel laws were stringent. He was the only one present to hear his confession and once tried and found innocent, Morris could never be tried again for the same offence. If he reported what he had just heard he knew Morris would deny it making him libel for massive financial damages. And, he had no intention of giving Morris that satisfaction. The mournful, wailing sounds of air raid sirens echoed across the City as Steffens descended the stairs to the bomb shelter. He felt no qualms or remorse about leaving Morris’s drunken and unconscious body in his room, only despair at being so thoroughly duped. He hoped that if luck worked in his favor, Morris would be found dead amongst the rubble and he could reveal his confession. Brodley’s granddaughter, Valerie, was in London that evening too, staying in a hotel a discrete distance away from the Strand Palace Hotel. Unfortunately, her hotel took a direct hit and she died before she could leave her room for the bomb shelter. The outcome of the trial bothered Chief Inspector Collier until the truth was finally revealed a full decade later. As ‘Queenie’ Stoddard predicted, his career blossomed but, not without much heartache. Confounded by ‘Queenie’s’ uncanny ability to forecast future events, his curiosity and analytical mind finally got the better of him and he visited the Stoddard household. This entry was posted in Betrayal of Trust, Education, Short Story, Writing and tagged B. B. Wright, Bournemouth, invasion of Poland, London, Neville Chamberlain, Old Bailey, Phoney War, Sitzkrieg, WWII. Bookmark the permalink.